Persistent hypertension in adulthood is a leading cause of end-stage renal disease (ESRD). Whether lower blood pressure (BP) values, in the range of prehypertension, are also associated with future occurrence of ESRD is unclear. 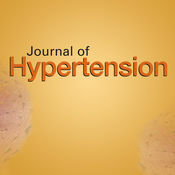 A recent study published in Journal of Hypertension clearly shows that asymptomatic, healthy adolescents with prehypertension have a 32% increased risk for subsequent ESRD, compared with adolescents with optimal BP. The fourth report clearly shows that the long-term health risks for hypertensive children and adolescents can be substantial; therefore, it is important that clinical measures be taken to reduce these risks and optimize health outcomes. Children >3 years old who are seen in a medical setting should have their BP measured. The preferred method of BP measurement is auscultation.